Mere Dost Picture Abhi Baki Hai is the journey of Amar Joshi (Suniel Shetty) who runs a video library in banaras and aspires to be a film maker. Despite facing objection from his father Amar Joshi decides to sell his video library and join a film Institute in London. After completing his course he lands in the city of dreams ?Mumbai? to make his film. Suraj (Rajpal Yadav) is a struggling actor doing bit roles in T.V. serials, who is Amar?s only connection in Bollywood. Amar Joshi starts his struggle to make his film by meeting different type of producers who have their own take on amar?s story. After many failed attempts He finally bumps into Monty Chadda (Rakesh Bedi) a P.R. Publicity man who sees good potential in Amar and decides to produce his film. Amar & Monty take help of star secretary Gupta ji (Akhil Mishra) to convince Mohini (Udita Goswami) & her starry mother Mummy ji (Neena Gupta) who agrees to do the film. Amar?s film starts, but is stalled all of a sudden when Monty suddenly disappears. Amar is summoned by Sudama Bhosle (Deepak shirke) a don who was financing his film. He wants Amar to complete his film and also wants him to cast his girlfriend ?Tina? (Mummait Khan) Amar reluctantly agrees as he has no option. But as luck would have it Sudama Bhosle is shot dead and Amar?s film is stalled once again. Monty Chaddha resurfaces again and decides to make Amar?s film into a magnum opus. So a veteran silver jubilee writer Mr. Baig (Om Puri) is brought on board. Once in, Mr. Baig takes over the reins of the film from Amar and changes it into a totally different film all together. 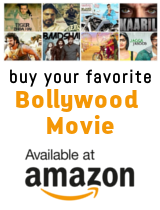 What follows is a chain of events which gives the audience a never seen before insight into the modus operand of how films are generally made in bollywood. In a nutshell Mere Dost Picture Abhi Baki Hai will take you on a wild journey inside the dreamy world of bollywood where you will see the reality of the largest film industry of the world. It won?t just make you laugh; it will make you appreciate the efforts of those who try to entertain you every Friday.